♦Data Fragments' cyan blue vinyl edition is sold out from our label. ♦Alive She Died - Viva Voce + Unreleased Tracks 1984-86 belongs to history. 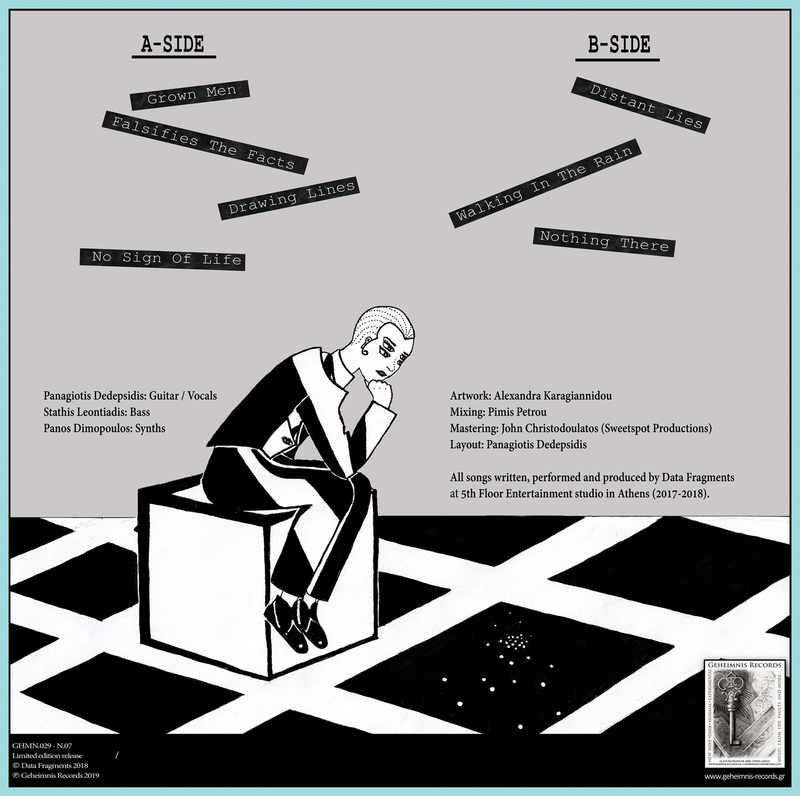 We scattered all 700 copies to as many as possible various record stores and e-shops all around the world. 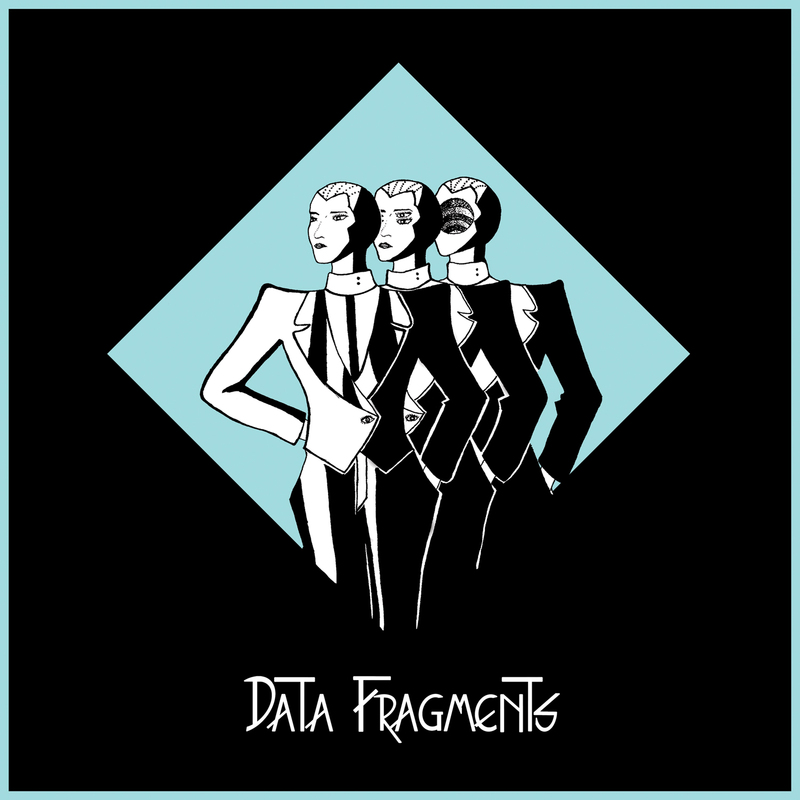 On March 12, 2019, Data Fragments' debut LP will come out in 280 hand numbered copies, 130 on transparent cyan blue and 150 on classic black vinyl. Download codes will be included in the album for digital post-punk pleasure . Founded in 2017, Data Fragments are Stathis Leontiadis, widely known as Doric (Human Puppets, Exetix), a mastermind of analogue synthesizers, now on the bass, Panagiotis Dedepsidis (Komodia Thanatou) on vocals and ingenious, new wave guitars and Panos Dimopoulos (Komodia Thanatou) one of today's most charismatic bass players, on a different, more avant-garde role on synthesizers. • "Rehearsed Dreams - Anthology 1983-1985" and "Metallaktiki Epikindini/30th Anniversary edition" are sold-out from our label. Only 2 copies from "Not Only Bones - Axel Romain" are left in stock. • Here is the most updated list with the record stores and e-shops where you can find "Playground Noises / 11 Lost Gems For The Night People 1980 - 1991" and the rest of our available back catalogue.